Andalusia is the second largest autonomous region in Spain. Located at the meeting point between Europe and Africa, it stretches from the Strait of Gibraltar in the south to the Sierra Morena in the north which separates it from the regions of central Spain and the plains of Extremadura and Castile–La Mancha. Portugal is to its west and the region of Marcia and the Mediterranean Sea to its east. 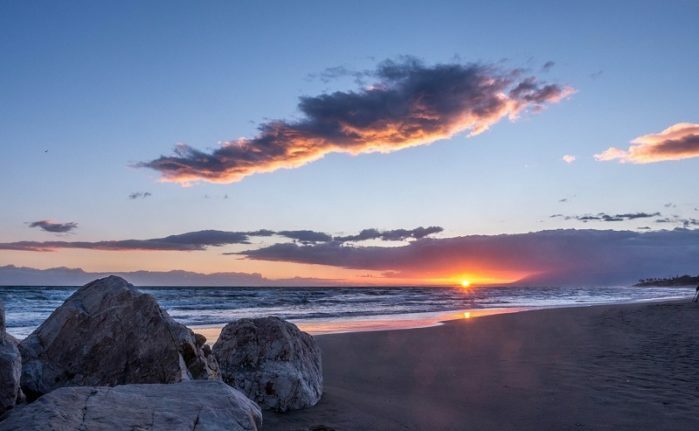 The beaches of the Costa del Sol and the wetlands of Coto Donana National Park are to the south, and the sierras and the most southerly ski resorts in Europe are to the north. With a land area as huge as the landscape is diverse, a campervan rental, RV hire or Sevilla motorhome rentals in Spain is the ideal transport to fully enjoy your Andalusian holiday. Sevilla (from the Arabic Ishbiliya after the Muslim conquest of 712 AD) or Seville is the largest city of the Andalusian region and an excellent place to start a Spanish experience by camper hire in Sevilla given its wealth of Roman and Muslim history. This cultural melting pot is home to the third-largest old city in Europe with three separate UNESCO World Heritage Sites. The intangible heritage of Sevilla is also best witnessed in a flamenco dance floor or, if you are not squeamish, the Bull Fighting Arena. Begin your travels to the countryside by driving your RV rental in Sevilla west towards Huelva where, 10 kilometres upstream along the River Tinto, you can visit the sleepy village of Palos de la Frontera, the place where Christopher Columbus set sail for the Americas in 1492. Driving around the wetlands, pitch your campervan hire in Sevilla and take time to scope out the Iberian Lynx plus many rare birds. From here, continue onward to Jerez de la Frontera, home to some of the finest Sherries in the world including the famous Harvey Bristol Cream. Continue on to Cadiz where some of the region’s best beaches intermingled with rocky coves can be found. With your Sevilla motorhome rentals, you will be able to stop almost anywhere as you follow the coastal road from Cadiz’s Costa del Luz past Gibraltar to the Costa del Sol with its popular resorts of jet set-friendly Marbella and Picasso’s birth place Malaga, often referred to as the museum capital of Andalusia. Here you can either start to head north in your Sevilla campervan hire to the city of Granada or continue east along the coast to the historical walled fortress of Alcazaba which overlooks the port city of Almeria. Driving north in your Sevilla motorhome rentals, you pass by the Sierra Nevada in all their glory before reaching Granada. Nestled in the foothills of the mountains, this was the last capital of the Moors and displays its history with Moorish palaces and Christian Renaissance treasures. Overlooking Granada is the UNESCO World Heritage Site of the Alhambra Fortress which in 1492 was the court of Ferdinand and Isabel. From Granada, your campervan hire or RV rental will allow you the freedom to either continue north to Jaen and Cordoba or return to Seville for a round of tapas and sangria.